The Bible tells a story. The events of the Bible are exciting and awe inspiring, but often the story can get lost among the laws, genealogies, and poetry. 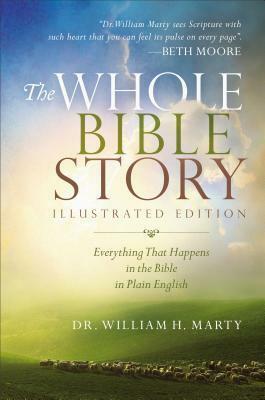 Here, Dr. William Marty retells the entire story of the Bible in one easy-to-read, chronological account. All the stories you remember, and many of those you don't, are part of one grand narrative. It's the page-turning story of God's pursuit of you--one you'll want to read again and again. Through the pages of this amazing book, you will encounter the Bible like no other. 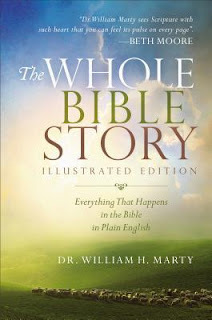 The way William Marty describes the Bible with such amazing pictures and details, I get the lost in the entire scene. This is such a friendly and easy to use Bible Story that you can't help but love it and know that others will too. 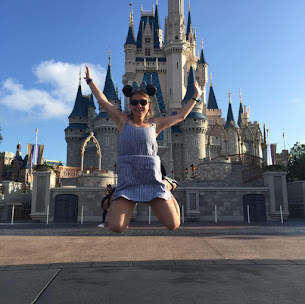 It is very encouraging and is perfect for the first time believer or even the seasoned believer looking for something different in their journey with God. I love all the illustrations and feel very calm when reading this daily. I highly recommend that you pick up a copy today. You won't be disappointed. I give this book 5/5 stars. A favorable review was not required. Thank you to the publishers for providing a complimentary copy. Purchase a copy Here for your own collection and start reading The Whole Bible Story Today!